Just being out on Lake Powell houseboats is simply incredible! It's the 2nd largest man-made reservoir measuring 186 miles long, and 25 miles wide, straddled by part of Utah and part of Arizona. It truly is a houseboat paradise with its 1900 miles of amazing deep shoreline. You're curious about the Local Attractions, or maybe you're looking for the perfect Marina, or possibly planning a family vacation and would like to find a great Rental Houseboat. If you're looking for Houseboats For Sale, than you'll most likely find some good deals around the lake. 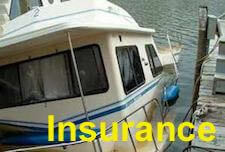 There's a variety of houseboat Services available, or are you considering a Timeshare instead of buying one. There's a Map of the Area below to help you out. 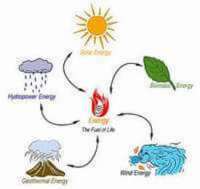 This site is constantly updated with new information, so be sure to join our Free Newsletter/Magazine, it's a great resource for you. A good overview of the beautiful Lake Powell Houseboating. Fishing for bass, stripped bass, and rainbow trout is abundant. Swimming is common since the water quality is clean and warm. Dams/Canyons are plentiful, and make for beautiful pictures. Water Skiing is popular and a great activity to do on Lake Powell. Kayak/Canoe is an excellent way to explore the surrounding beauty. Local places to visit include Dams, Bridges, Indian ruins, and Page AZ. is only minutes away from Page AZ, and is the largest on the Lake. is close to Ticaboo UT, and is the 2nd largest marina on Lake Powell. can be found on the East side of the lake, across from Bullfrog marina. 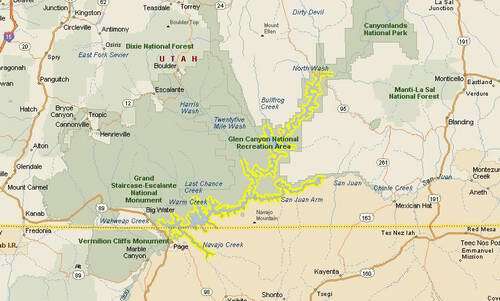 is found @ 40 miles from Glen Canyon Dam, and is reachable from the lake. is close to Page AZ, and is the newest marina on the southwest side. Privately or through a Broker? Considering a Timeshare, or Rental? 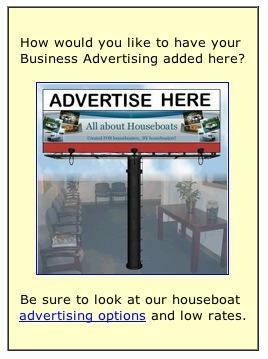 How to screen the Houseboat Classified ads. There's a large selection of local houseboat services available in the area, like Marinas, Transport, Storage, Surveyor's, Loans, Insurance and so on. Timeshare is an alternative to rentals, and makes good financial sense. Sunrise Peak is a company offering House Boat Timeshares. Houseboat Lake Powell does shared ownership Timeshares. 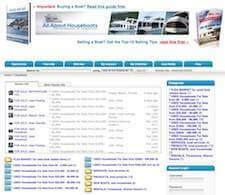 Only looking for a Houseboat Rental? 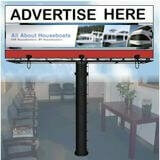 Join "The Houseboat Insider" for free. 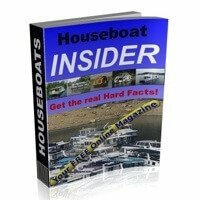 Since this website gets updated frequently, you should signup for our free Houseboat Insider magazine; it's filled with Tips, Articles, Reviews, and great Discounts for our Readers. You can cancel anytime with just 1 click. It's quick and easy, simply fill in the form below, it's safe and secure. Return to the Top of Lake Powell Houseboats page. 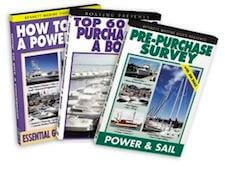 Return to Houseboating World Wide, from the Lake Powell page.